What is a FAIR AMBASSADOR? 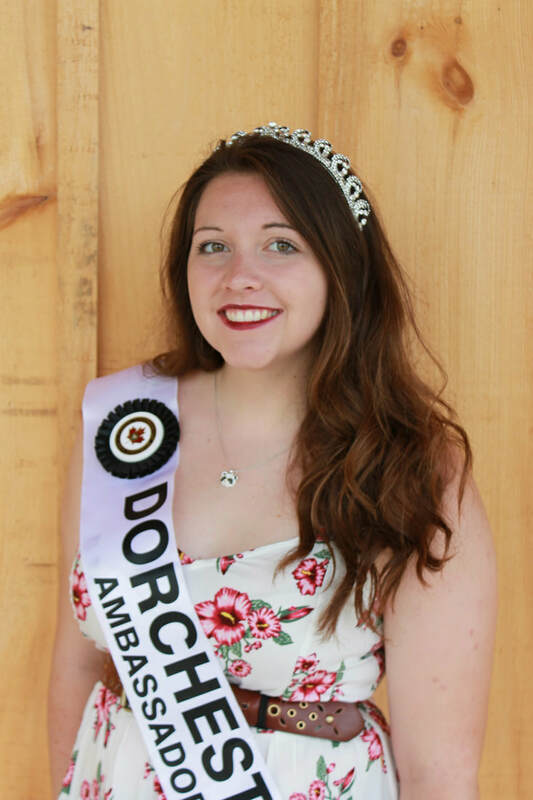 :The Dorchester Fair Ambassador program was started back in the 1950s and was more of a beauty pageant and today the focus couldn't be anymore different, the program has been changing and growing every year. Today, it is seen as a leadership program, an opportunity for youth to learn and grow within the community, there are no more gowns and sashes, it's business attire for both male and female. You don't need to live on a farm or have grown up in Dorchester but you will need to be open to learning and attending programs the include job interview preparation, public speaking, time management and be prepared to have fun representing the Dorchester Fair Thanksgiving weekend and at the CNE Ambassador competition, at convention and district meetings. We'll cover your expenses, you attend, learn & experience all this program has to offer. You will only need to be between the ages of 17 and 24 (as of August 1, 2019) and have an eagerness to learn. This program is about learning, being seen as a leader in the community, taking on new challenges and let’s face it – having it on your resume doesn’t hurt either. Enthusiastic individuals looking to learn & grow. Opportunity to travel to convention in Richmond Hill & the CNE Program in Toronto and various other Ambassador programs. 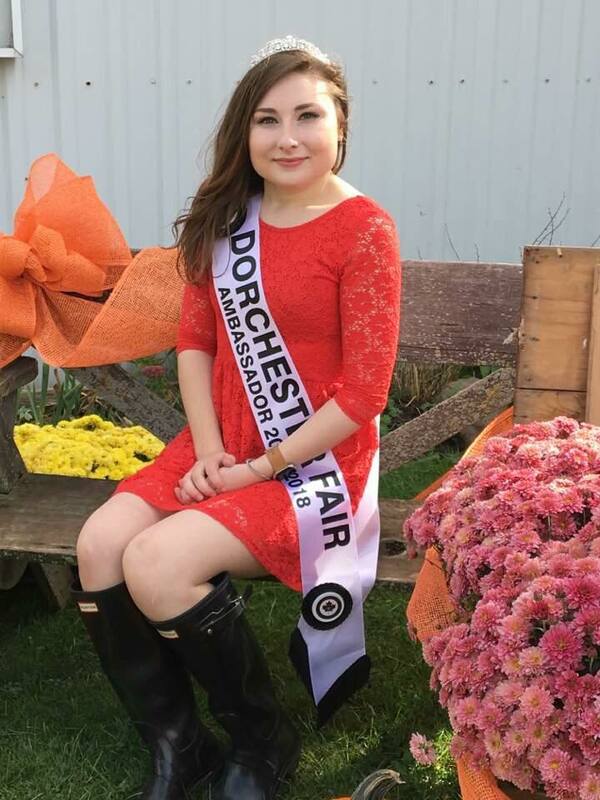 Represent our Dorchester Fair at various community events & ceremonies. A bursary upon completion of your year. The chance to meet new friends & develop friendships that will last a lifetime. To learn more about this program please email infodorchesterfair@gmail.com. ​Art in the Barn, OAAS Convention and the CNE Ambassador Experience. Through this dynamic leadership position, I am able to get more involved in my community, promote rural life and educate others about agriculture. I have had the opportunity to travel, make new friends and enhance my communication skills. In June 2018, I will be graduating from Brescia University College having completed a Bachelor of Arts (Honours Specialization in Families and Nutrition with a Minor in Psychology). I hope to attain a full-time job and continue to be actively involved in my community. My name is Sidney Hicks and I am a proud past-ambassador! 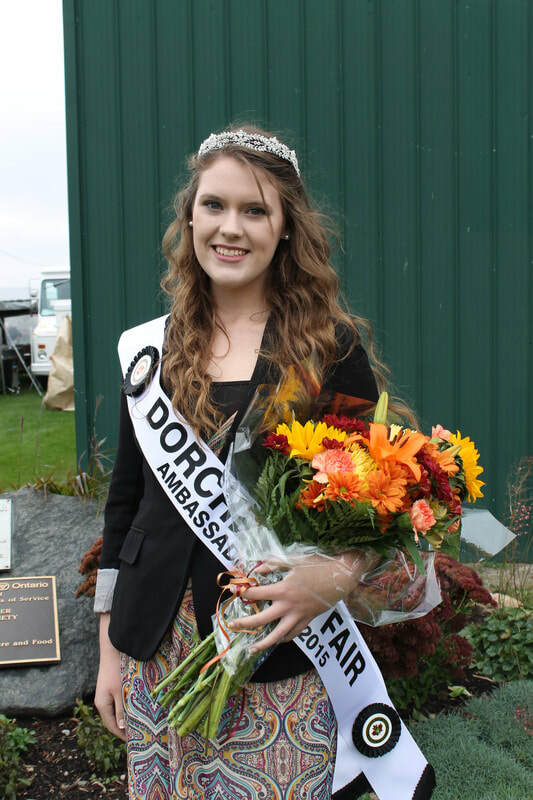 I represented the North Dorchester Agricultural Society from 2014-2016 and those were some of the most valuable years of my life. 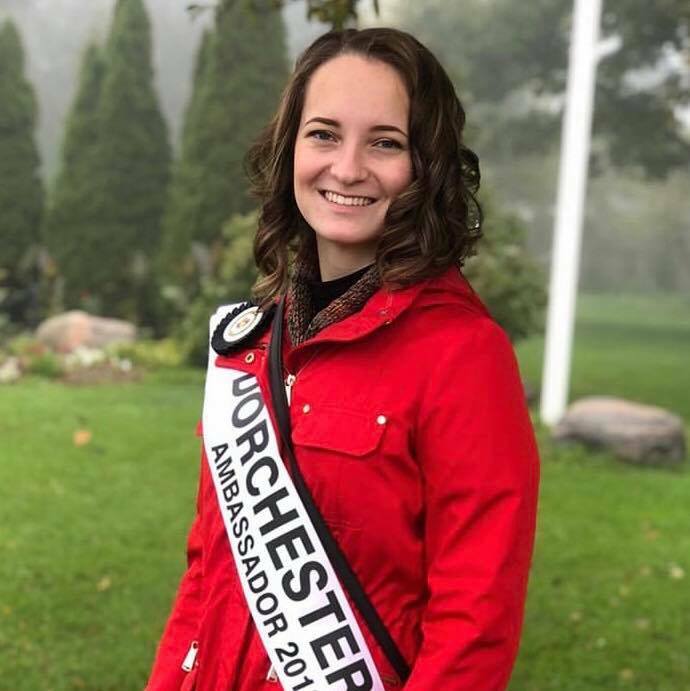 Being an ambassador gave me the priceless opportunity to grow my confidence by participating in NDAS events year-round and becoming more active in our community through many volunteering opportunities. Additionally, I worked behind the scenes of many events and gained a greater respect for the work that goes into the fair and the promotion of agriculture and rural life’s roles in our community. I was able to practice valuable skills such as public speaking, interviewing, and networking which have been vital in my job hunts and post-secondary schooling. In May 2019 I will graduate from the University of Windsor with a Bachelor of Arts in Media Art History & Visual Culture with Honours and Distinction. Following that, it is my intention to continue my education in arts administration and cultural management. My time as an ambassador is something I would not trade for the world, and I truly believe that those years have contributed to the many successes in my life. I am honored to continue to volunteer within our community and serve as an Associate Director of the NDAS fair board.